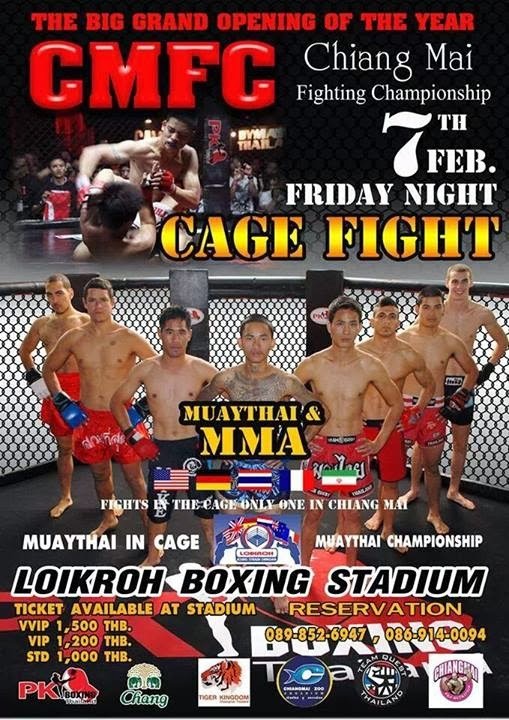 Tonight is the first ever MMA Cage Fight in Chiang Mai, Thailand. The government banned MMA a few years back in Thailand, but it looks like it is legal now and this Thai promotion team is taking a big chance at setting up what might be huge in the future. 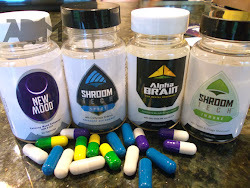 They aren't doing a very good job promoting it as I couldn't' even find a website for them aside from their facebook page, but sometimes that's just the way local business is run in Thailand. Tickets start at 1,000 baht which is $33US. It's cheap compared to MMA fights in the U.S., but this isn't the UFC and they would have fared better if they had lowered the ticket prices down to 800 baht. 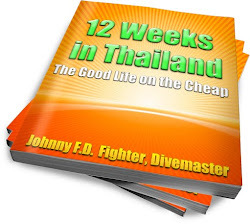 Standard tickets for Muay Thai fights in more expensive places like Bangkok and Phuket are expensive regardless so maybe people are willing to pay for this. It looks like half of the fights will be Muay Thai with 4oz gloves and in a cage, while the other fights are full MMA rules. Best of luck to everyone tonight. www.facebook.com/MyFightCamp - Keep in touch.